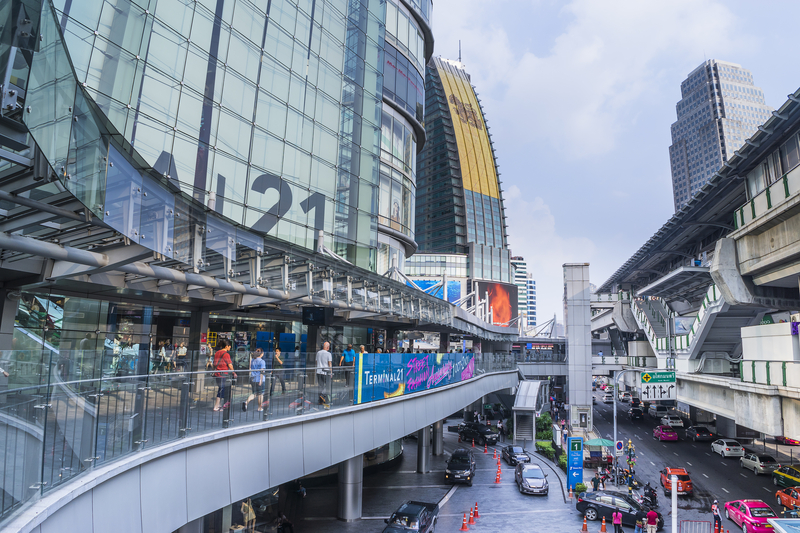 Terminal 21 is easily accessible via the skywalk at Asok junction, just 5 minutes away from our hotel. Each floor is decorated, and named after, a major city in the world, such as London, San Francisco and Tokyo. It is also home to the longest escalator in Thailand measuring up to 36 meters. There are many great restaurants such as Tony Roma’s, the Manhattan Fish Market and a very popular food court, The Pier, which serves great quality food at a cheap price. With over 50 restaurants inside, food and desserts are spread out mainly over floors 4 and 5, which are decorated with the theme of the city of San Francisco and London respectively. There are even impressive mini replicas of the Golden Gate bridge and a London bus! There are also a host of brand stores like H&M and Adidas, as well as pop-up outlets with heavy discounts and special promotions. Level 3 is designed to reflect the Turkish city of Istanbul, and is filled with random collection of stores selling bags, shoes, stuffed animals and more. Head to the basement floor and you will find a Top’s supermarket, along with more food and dessert shops like Baskin Robbins, Dairy Queen and an ongoing food fair, perfect to pick up a souvenir for the family. They even have a currency exchange on the ground floor, in front of the entrance. There are movie halls and electronic stores on the top floor of the department store.